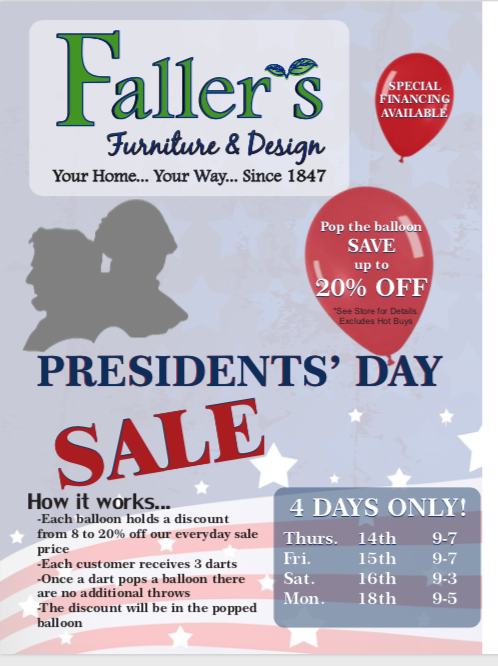 SPONSORED: Faller’s Presidents’ Day Sale Begins Tomorrow; Pop the Balloon & Save! 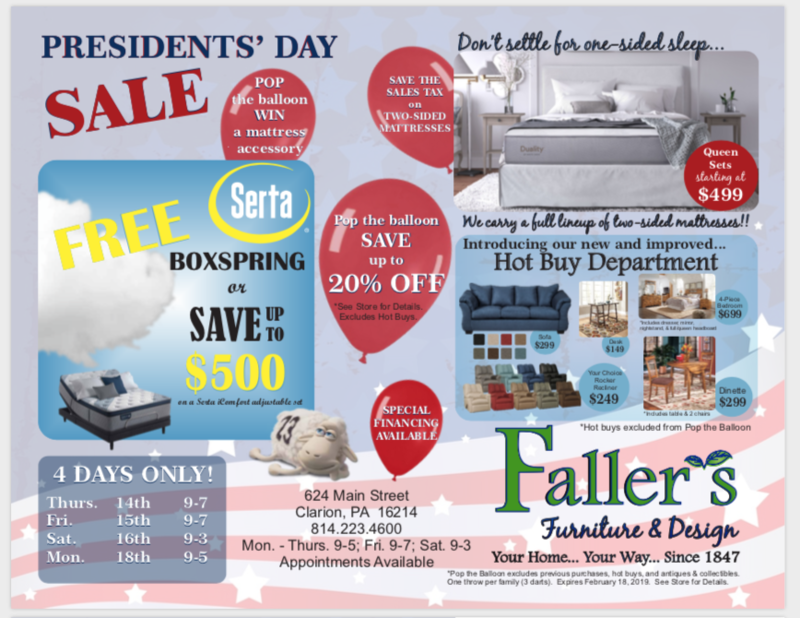 CLARION, Pa. (EYT) – Faller’s Furniture four-day Presidents’ Day sale starts tomorrow. Stop in, pop a balloon, and save!